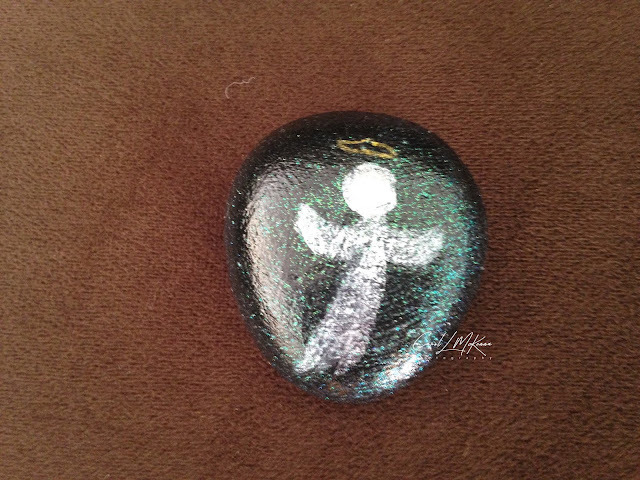 Angel painted on a beach rock from Cape Ann MA. We sure do need our angels. I love my guardian angel. I have one. love your sweet painted angel- and I remember your angel art postcards so well too. All lovely. Great Buddha quote! happy PPF! Very powerful quote, and your rock (as always) is lovely! Hope you have a lovely PPF and rest of your week! I need to paint a few rocks again. We all need an angel in our lives. Sweetly created Carol. We do need them, i pray for protection every day. Beautiful little angel. Happy PPF!